When visiting Hungary’s capital don’t miss out on these awesome day trips from Budapest! Budapest is a fascinating city, and to say that there is plenty to see, do, eat, and experience in Hungary’s capital would be a bit of an understatement. 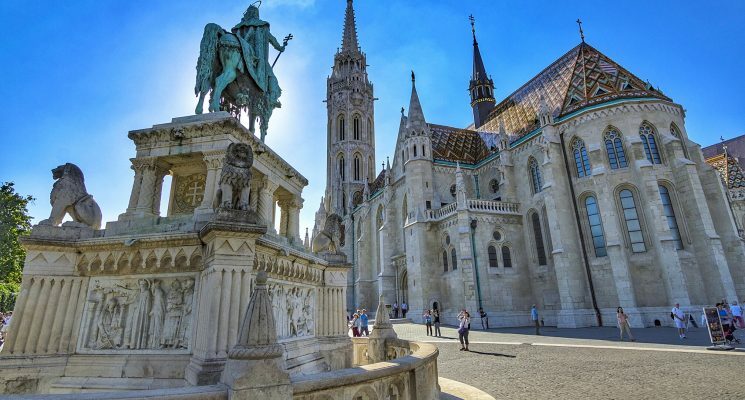 However, it would be a shame to travel to Budapest and not see any of the incredible sites that are within pretty easy striking distance of the city proper. Historic cities, national parks, UNESCO world heritage sites, and beautiful nature that you can visit within the span of one day all await exploration. There are loads of fun and interesting day trips from Budapest waiting for you to discover! 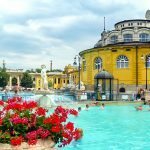 We’ve consulted several of our fellow travel experts, asked them what their favorite day trips from Budapest are, and put together this list. 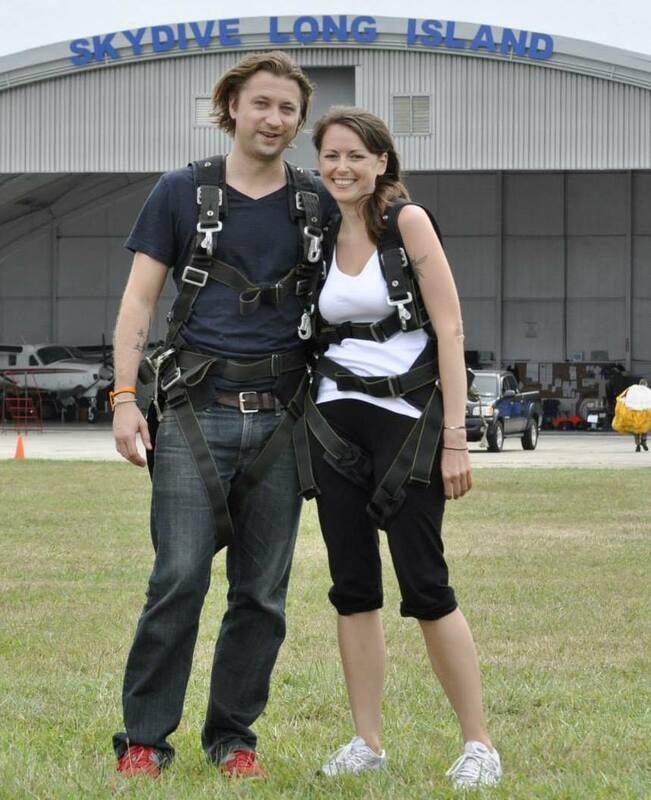 There is something for everyone here, so have a look and start planning your adventure! But first – If you’re looking for accommodation options in Budapest, we’ve got your covered. 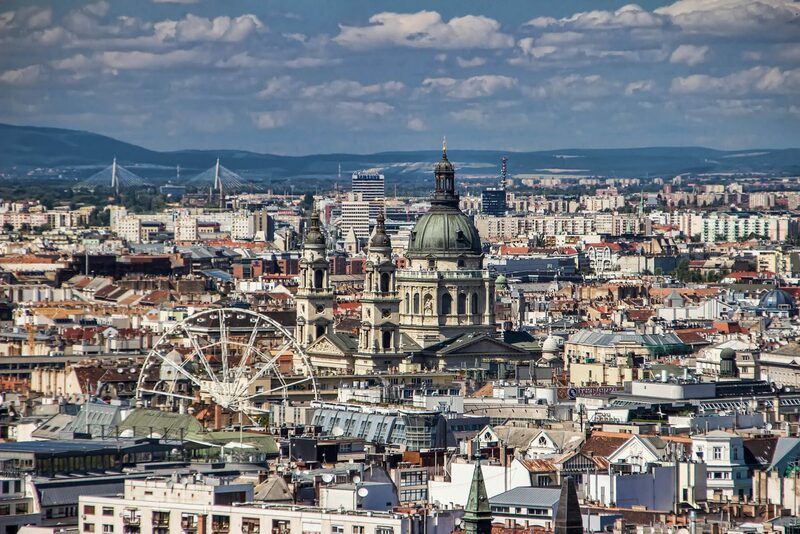 Here are our guides to the best hostels in Budapest and the best boutique hotels in Budapest. 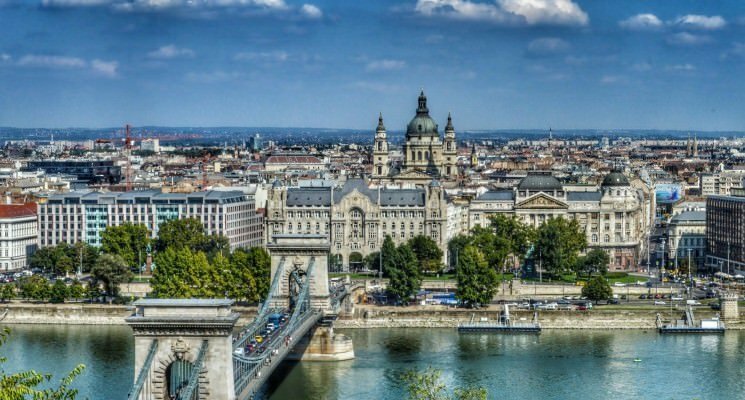 Additionally, many of the below destinations can be reached by public transportation but if you’re looking to rent a car in Hungary click here for prices and options. Debrecen is the second largest city in Hungary, although compared with Budapest it’s just a small town with around 200,000 inhabitants. 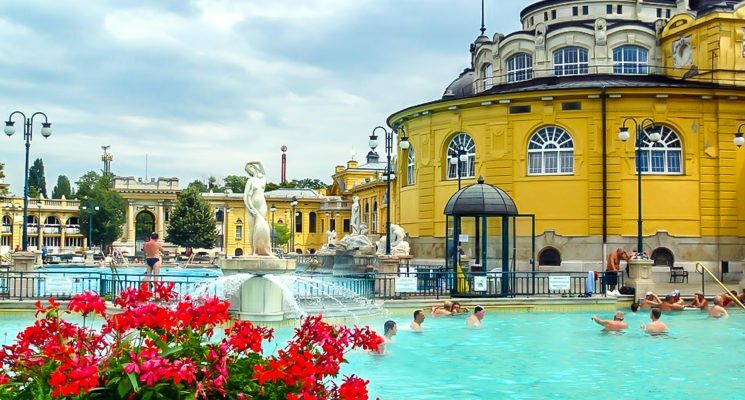 Unfortunately most tourists limit their trip around Hungary to the capital and its surroundings, and thus many miss out on the beauties of Debrecen. Debrecen has always been an important cultural center in the Great Plain of Hungary. Protestant religion especially flourished in this town, and there are several historic landmarks (a protestant college and other facilities) that remind us the era when Debrecen was called the Calvinist Rome. The Big Church at the main square is still the main symbol of this calm town and the views from the church tower are astonishing. 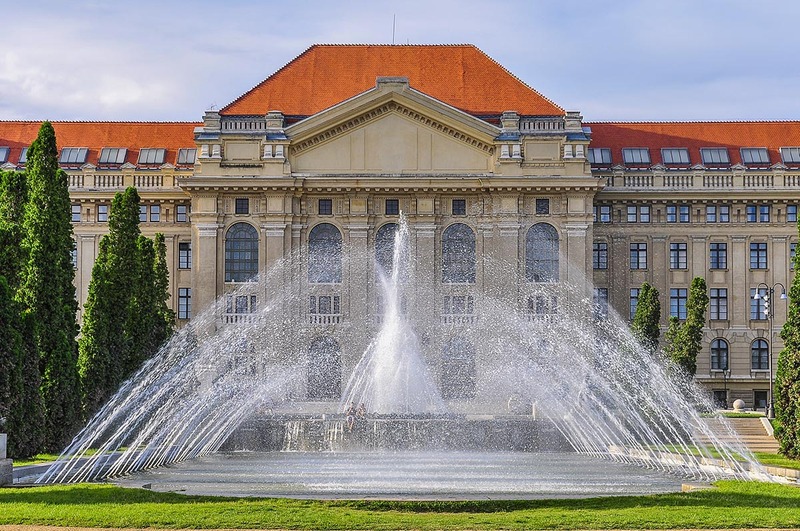 One of the other main features of Debrecen is being an important educational center, and the University of Debrecen is located in a precious environment, surrounded by a lush forest. You can get around easily in Debrecen thanks to the comfy tramway lines, which connect the Railway Station with all the major sights in town. All of this combines to make Debrecen a great day trip from Budapest! 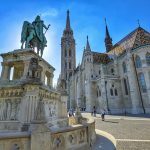 Gyor, Hungary is a perfect day trip from Budapest because this unknown western Hungarian city is an absolute gem that not many people know about or have discovered. I went there from Bratislava after discovering it on a map (I had never heard of the city despite being well-traveled in the region), and after hearing from Slovaks that it was ugly and grey. I arrived by bus and found it to be the complete opposite. It ended up being one of the best ‘accidental’ discoveries I had ever made while traveling! 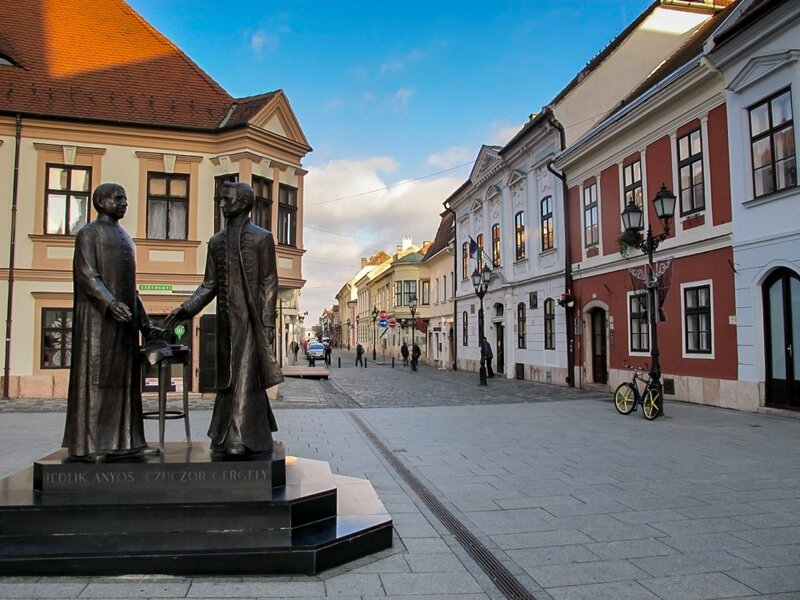 Gyor is a city filled with cafes, museums, a charming old town, statues, and a courthouse building that rivals some of the best pieces of architecture in Europe! I definitely recommend traveling there as a day trip from Budapest. It is easily reached by car, bus (I used the Student Agency buses from Bratislava- but they also run from Budapest), or even by train. It is extremely well-connected. 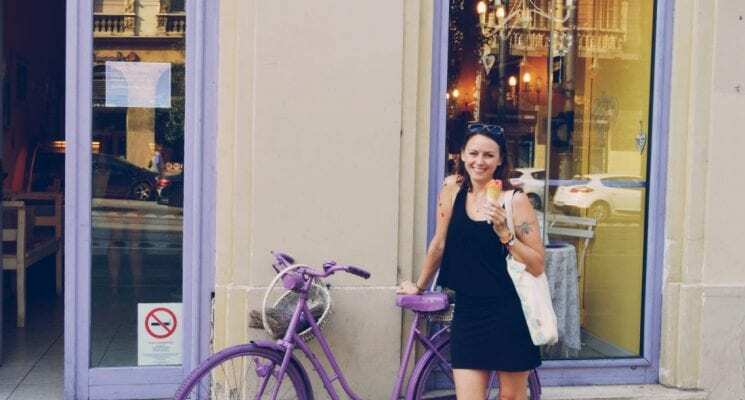 If you are visiting Budapest and you have just enough time for a day trip, Szentendre is the perfect place to visit if you want to see a little bit more of Hungary. Just 20 km outside the capital sits this cute cobbled stone town that is mainly known for the best two things in life: Art and food. One the many galleries in Szentendre is dedicated to the work of Kovács Margit, an awarded Hungarian ceramic artist and sculptor. Quite likely you came across her art already in Budapest, as several of her ceramic murals are still visible around town. You should also visit the Szentendre Art Mill, a gallery in an old mill with a variety of art displayed on three floors. Feeling hungry? Don’t worry, Szentendre is also an excellent place for foodies: Álom Lángos serves one of the best Lángos in the entire country! And how about a visit to the Marzipan museum for desert? 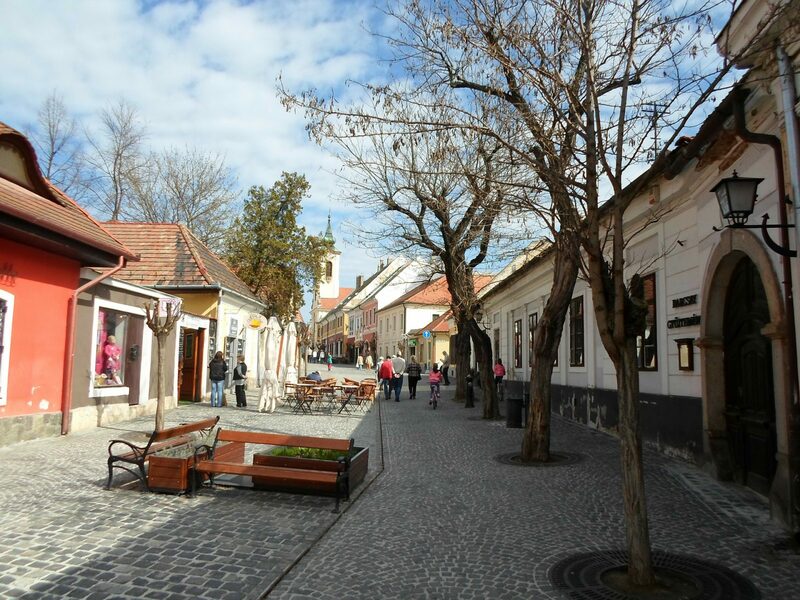 Szentendre is easily accessible by bus or suburban train and it takes around 30-45 minutes to get there. However, If you visiting between May and September, you also also have the option to travel to Szentendre by riverboat. SO what are you guys waiting for? This is a Budapest day trip you really should’t miss out on! Hollókő is a charming village just an 80-minute drive from the centre of Budapest, but it feels like stepping centuries into the past. Its two streets are lined with traditional houses, many of which date back to the 17th-century, although the majority were most recently rebuilt in the early 1900s, following a devastating fire. It’s such an excellent example of traditional folk architecture that the village has even been UNESCO World Heritage listed. One of the best things to do when visiting Hollókő is to just wander along the streets, viewing the picturesque houses. There are multiple small museums located in some of the buildings, each of which can be visited for a small fee. It’s also recommended to walk up to the hill above to visit the castle next to the village. It dates to at least the 13th-century, with control alternating between the Hungarians and Ottomans during the period of Ottoman invasions. You can also have a traditional Hungarian lunch at one of the restaurants dotting the streets. It’s best to visit Hollókő by car, as public transport links are limited. 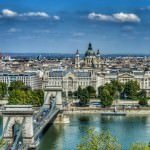 Interested in a day trip from Budapest? Look no further than the delightful capital city of Austria. 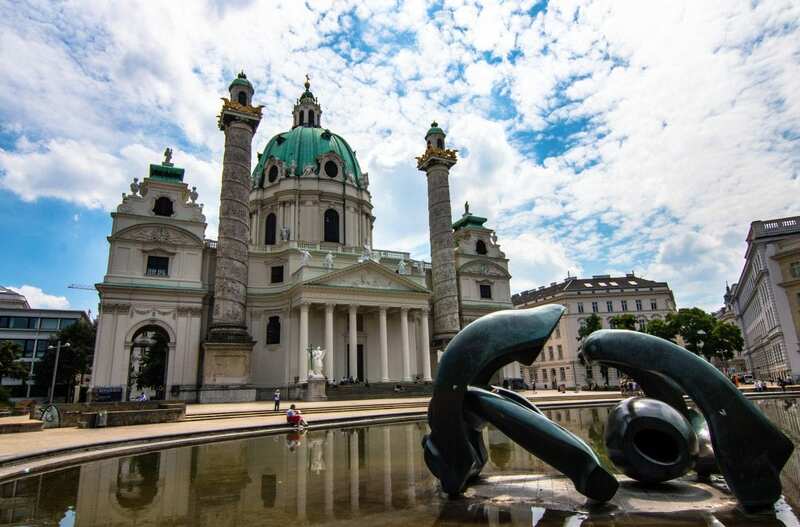 Vienna holds a huge range of activities, so this city is perfect for whatever you are seeking. Visit on the 1st Sunday of every month and enjoy free entrance to a large selection of museums! The Wien Museum gives you a history tour and you can explore old ruins at the Roman Museum. For those more musically inclined, you can visit Haydn’s residence for an insight into his life! Three floors of clocks greet you at Uhrenmuseum and Virgilkapelle hides a massive excavation of a Chapel. It’s easy to design a well-rounded trip of free museums and use the Euro’s you save to enjoy even more! For food, try the numerous Käsekrainer stalls. These delicious, cheese filled sausages will keep you energized. Traveling to Vienna from Budapest is easy for a day trip! You have two options: Flight or Train. A flight is around 50 minutes but more expensive, whereas a train is just €20.00. There are numerous trains departing daily from Budapest Keleti to Wien HBF. It takes around three hours and they are easy to reserve, but always book in advance. The capital of Slovakia, Bratislava is very close to Budapest, and only 161 km, making it a good day trip option. Plus, it is very easy to reach by train or a bus. The train takes under three hours, depart every two hours, and costs €17.50. The bus departs two times a day at 9:30 or 15:30 and coast €16.00. 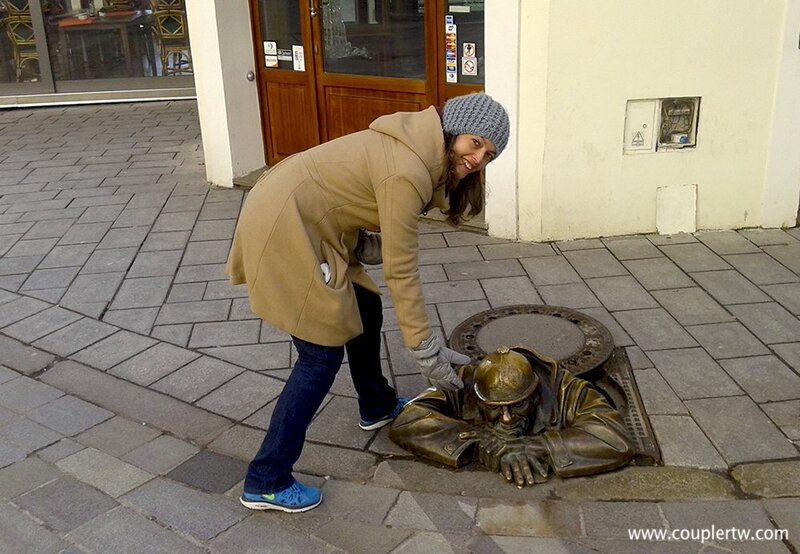 Bratislava is a cute city, with old classic buildings, full of souvenir shops and cool statues all around the city. It’s quite pleasant to walk around the streets and try to discover new statues. The city also has a fantastic variety of restaurants with delicious and cheap food. Bratislava’s main attractions are the Blue Church, Bratislava Castle and St. Martin’s Cathedral. Given their close proximity to on another, you can visit them all in one day. Altogether Bratislava is a very pleasant day trip from Budapest. Many people who visit Budapest come for the thriving atmosphere that the capital generates with its amazing nightlife, historical sites and cool neighborhoods to explore. Budapest is, however, also closely located to some amazing nature. 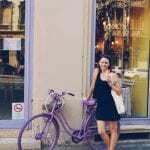 This makes a day trip from Budapest to the town of Visegrad a great alternative day out if you’re visiting Hungary’s capital city. Visegrad is located a one hour train ride or 80-minute bus ride from Budapest. 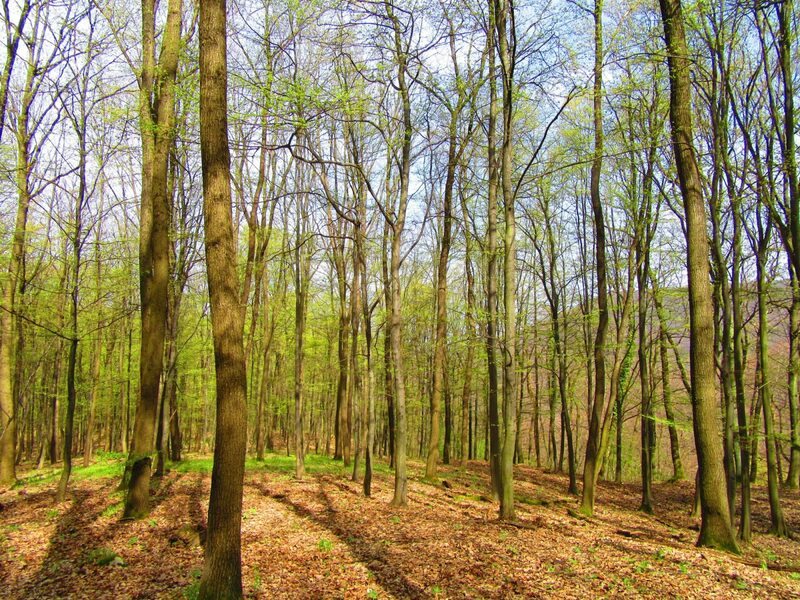 The town is best known for its castle, located at the top of the hill, however, I think the best thing to do in Visegrad is to go out for a hike in the surrounding forest! One option is to actually take a one hour hike to the castle but you can go also go on a few longer walks in the forest that vary in difficulty. The hikes are well marked and there are number of maps as you enter the forest that you can use to plan your day hike. This makes Visegrad a great day trip for those people wanting to get away from the hustle and bustle of the Hungarian capital for a day! Indeed, Hungary offers so much more than just Budapest, thank you for showing! Szentendre, Visegrád and Győr are great day trips – for the others, I would rather recommend staying overnight, if you don’t want to spend half of your day traveling back and forth… Especially Vienna is larger than a few-hour visit, you want at least 2-3 days there. Instead, I would head to destinations closer to Budapest, like the historical towns of Eger or Sopron; both have also pretty hills and famous wines. 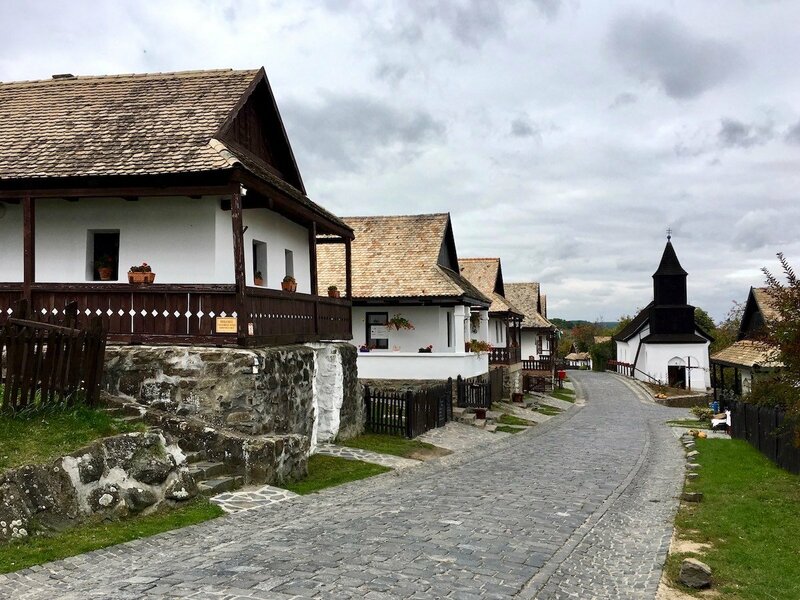 In Szentendre, one not-to-miss sight is the huge open air museum Skanzen. When in Visegrád, take a few kilometers further, to Esztergom. Don’t forget to cross the bridge to Párkány (Šturovo), Slovakia, for a splendid view of the cathedral – and some tasty, filling food. Halušky, oh!! And I agree, hiking is the best – or in the summer, you can take a boat on the Danube. Thanks Andrea for the travel tips! Very nice of you.